I just received word from a source whose information has proven accurate in the past that Apple is preparing shipments of iLife ’10. With the information I have I’m guessing the product could be announced as early as this week and may start arriving in stores next week. 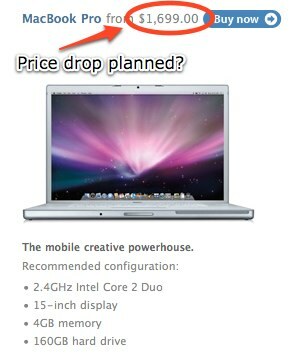 This information comes despite recent rumors from others that books for iLife ’11 are beginning to show up online. The DVDs are apparently branded with the text iLife ’10 and reportedly have four watercolor style icons depicting a camera, a filmstrip, piano keys and a fourth as yet unidentified icon. iLife 10 Coming in September? 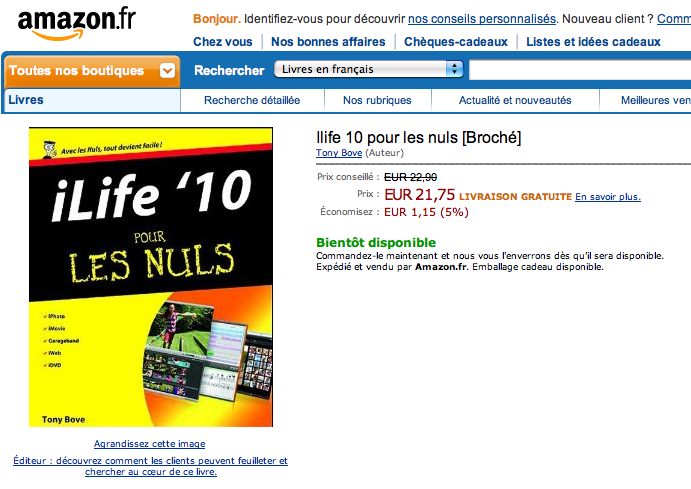 Listener Gary just emailed me to let me know that he was browsing Amazon and ran across a listing on their French site that looks to be an “iLife ’10 for Dummies” book. The description doesn’t really reveal anything about any new features, but the entry does have a September 23rd, 2010 release. Listings like this do “leak” from time to time and they may or may not be confirmation of a software update. It’s seems logical to assume Apple has been working on an update to the iLife suite. So will we see a new iLife this Fall? Until it’s removed, here is the link to the listing on the French Amazon.com site.